Download, print, and fill out the application, and attach a scanned copy of the application. A link to the Dr.Web eStore, where you will be able to purchase a license at a discount, will be sent to your email address. No discounts (including the renewal discount) are available for the product. To continue using the product after its license has expired, you need to purchase a new license at the standard price. Do you need protection for your college, museum, or public library? These institutions are entitled to a 50% discount. Fill in the request form that gets sent to the sales support service, and attach a scanned copy of the application. 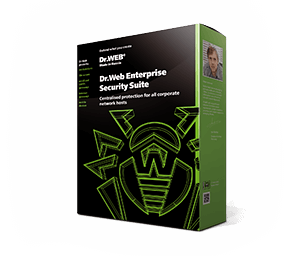 Describe what Dr.Web license you need for your educational institution. A link to the Dr.Web eStore, where you will be able to purchase a license at a discount, will be sent to your email address.